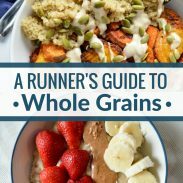 You read a lot about the value of pumping iron for runners, but the iron that you eat is also immensely important for running and racing. 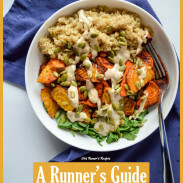 For long distance runners, vegetarian/vegan athletes, and especially female runners, iron deficiencies can pose a serious concern. I want to discuss in this post iron deficiencies, anemia, pseudo-anemia, and how to eat a diet full of iron. 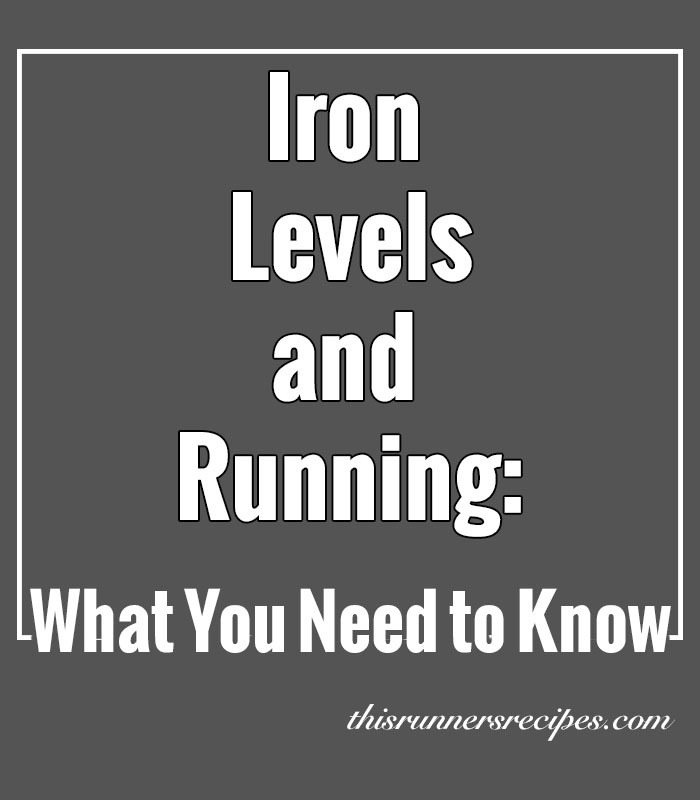 To understand the relationship of iron levels and running, you first need to understand the exact physiological purposes of iron. Iron is a mineral that is an essential nutrient for basic human function. Iron supports immune system function and energy production, which means you need it for any activity and your body especially requires it for physical exertion. Iron is found in hemoglobin and myoglobin. Hemoglobin is the part of your blood responsible for oxygen and carbon dioxide transport; thus iron helps carry oxygen to your muscles. Myoglobin is a protein found in muscles and responsible for extracting the oxygen from the blood and delivering it to the muscles for energy production. So when you run, your muscles need energy to keep you moving. You get the energy from breathing in oxygen, which your blood then transports to your muscles, and your muscles then convert to energy. Iron plays a role in this entire process of oxygen delivery. When you do not have sufficient iron levels in your hemoglobin or myoglobin, your blood doesn’t deliver enough oxygen to your muscles and you fatigue quickly. In fact, fatigue is one of the conspicuous symptoms of iron deficiencies and anemia. Anemia is a condition in which your body does not have enough red blood cells. While there can be other causes, an iron deficiency is one of the most common causes of anemia. Certain demographics are more prone to anemia, including vegetarians and vegans, premenopausal women, and, as many studies indicate, endurance athletes. So if you are a female endurance athlete who doesn’t eat much meat, you’re even more at risk for anemia. Fatigue can also be a symptom of overtraining, as anemics also suffer from weakness, shortness of breath, irregular heartbeats, pale skin, cold extremities, and headaches. Iron deficiency and anemia can lead to a decrease in athletic performance for runners, as studies have found. However, anemia is not very common in runners; however, you can stil have iron deficiency without it being severe enough to cause anemia. Endurance athletes do tend to have lower ferritin levels. Ferritin is a protein in your cells that helps your body absorb and store iron; without ferritin, you could eat an iron-rich diet and still have an iron deficiency. So healthy ferritin levels help prevent iron deficiency by maximizing how much iron you absorb from your diet and how much your body stores for availability to your blood and muscles. Fortunately, studies show that eating sufficient amounts of iron and supplementing if necessary can help increase your ferritin levels. 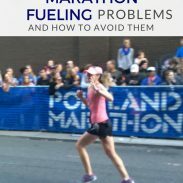 Runners need higher ferritin levels because of the role of ferritin in energy production, so runners need to ensure they consume enough iron to keep their ferritin levels healthy. Endurance athletes are also more at risk for low blood cell counts because of a thing called foot-strike hemolysis. It is also called exertional hemolysis because it occurs in non-impact forms of endurance exercise such as swimming. Essentially, foot-strike hemolysis destroys red blood cells. However, many studies indicate that this loss is minor and is not anything that should deter you from running. You lose red blood cells every day, which is why iron is part of your daily dietary requirement. This only means that endurance athletes will need to eat more iron-rich foods than the average person. Before you start popping iron supplements (which you should consult your doctor about because excess levels of iron will not improve your red blood cell count but will cause GI problems), there’s one more thing for runners to know about iron deficiencies. Matt Fitzgerald writes in his Competitor article “Is Anemia A Running Epidemic?” about pseudo-anemia. He references several studies that find that endurance athletes have low blood hemoglobin concentrations (which means low iron levels in the blood) but do not suffer from decrease in performance, as you would expect from anemia. A 1992 South African study termed this phenomenon as pseudo-anemia. I’ve talked before about how running, especially long runs, can increase your blood volume. When your blood volume increases, your hemoglobin levels can stay the same. This is pseudo-anemia: you have enough hemoglobin, but it appears in tests as if you have a deficiency because the ratio of your hemoglobin to your blood volume is low. So, for example, say you’re a healthy running who does not suffer from fatigue or weakness, who recovers well from training, and who eats an iron-rich diet. You could still show iron deficiencies on tests because of pseudo-anemia. So the next time you get turned away from donating blood because of low iron levels, don’t immediately assume you have anemia—you may just have an increased blood volume. Whether you suffer from symptoms of iron deficiency or not, it is important for runners to eat an iron-rich diet. This is especially true for female runners, who in addition to be more biologically prone to anemia can tend to eat less meat. Women on average need more iron in their daily diets than men. How to do you get enough iron in your diet? Since too much iron can be dangerous, you want to intake most of your iron through whole foods and only supplement with guidance from a medical professional. However, with the right foods, it’s easy to get enough iron in your diet. There is a difference between iron from meat (hemo iron) and iron from plant sources (non-hemo iron). Our bodies more easily absorb hemo iron than non-hemo iron, which is why vegetarians and vegans are at higher risk for deficiency. Vitamin C and iron from meat can help increase the absorption of plant-based iron, so you will reap extra benefits if you pair iron-rich vegetables with red meat. The best sources of iron are red meat, poultry (particularly dark meat), legumes including black beans, dried fruit, dark leafy greens, sweet potatoes and squash. and oatmeal. The tannins in coffee, tea, and wine and the calcium in dairy products can block iron absorption, but that does not mean you should cut out those drinks and foods! Instead, focus on eating an iron-rich food at each meal: oats at breakfast, a spinach salad with beans at lunch, and steak or poultry with sweet potatoes at dinner would make for a very iron-rich and delicious day! A daily multivitamin also contains enough iron to help your levels without being high enough to pose any danger. Do you make it a point to eat an iron-rich diet? What foods do you include? Very interesting and helpful info! I think that with the way I have been eating lately I should be ok with my iron levels, but about 6 or 7 years ago when I got blood work my levels were low. I wasn’t eating any red meat at that point and not nearly as many veggies as I eat now. Thank you, Lisa! I definitely think Whole30 or similar ways of eating are super good for iron levels. I always try to eat more red meat when training. I had problem with low irons levels also back when I didn’t eat red meat also. Your post today about counting calories made me think about how lots of young women avoid red meat because they think it’s caloric or fatty and then end up missing out on so many health benefits!